Sometimes I feel like a big hypocrite. I have worked with kids- especially birth- 2nd grade- since I was 12. I worked in a Montessori preschool for 6 years, taught a preschool class of my own for 2 and have worked in various preschools, daycares and church nurseries. During this time I have touted the benefits of preschool and helped parents choose schools for their kiddos. I’ve helped advise parents on troubling behavior, home life and more! The experiences I have had have taught me so much about kids and I’ve truly loved it. Mommy- I LOVE to be with him and have him around, I’m not ready to send him off yet! However, I’m also busy with working part-time, running a small home business, and (soon) doing affilate marketing. I don’t have time to do a bunch of planning and prep work. Enter this awesome website 1plus1plus1equals1. 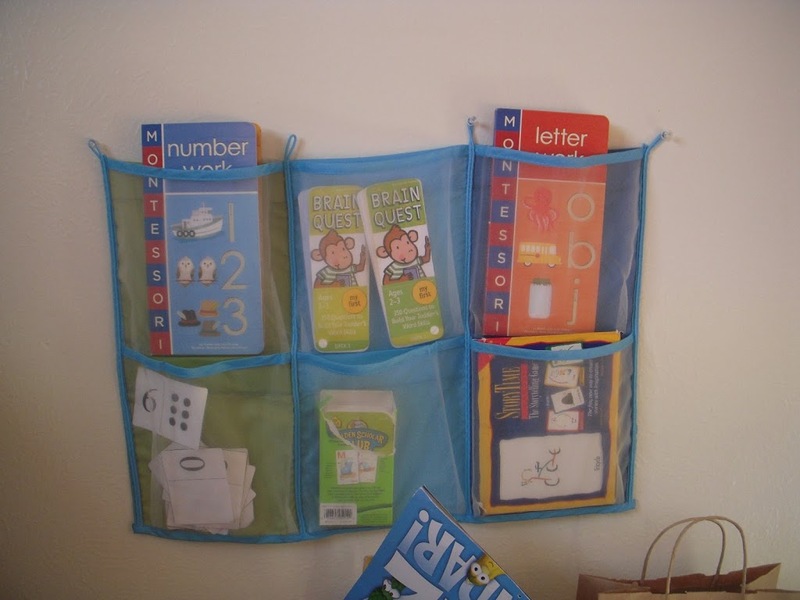 Carisa has TONS of free printables on this site and pre-made curriculums which I love to use! 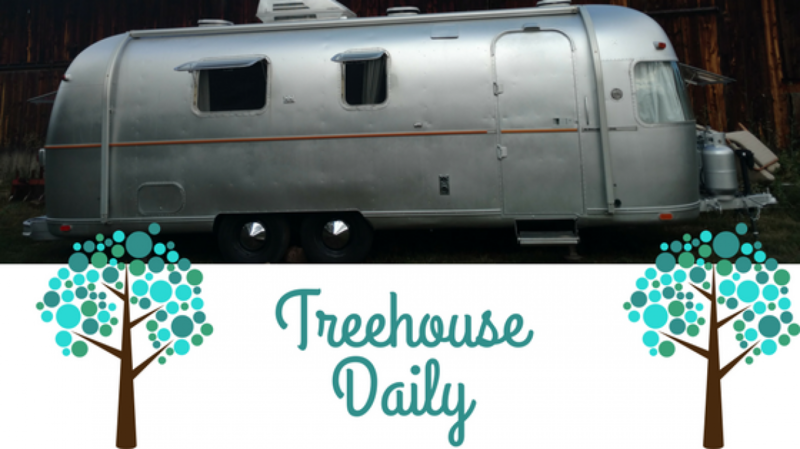 She is a Montessori Mama who is homeschooling her kiddos and has info for people who maybe don’t know much about teaching but want to homeschool too. There are links so you can see what other Mamas are doing and she’s good about replying to comments. We are loving what is available on this site and the other connections we’ve made. 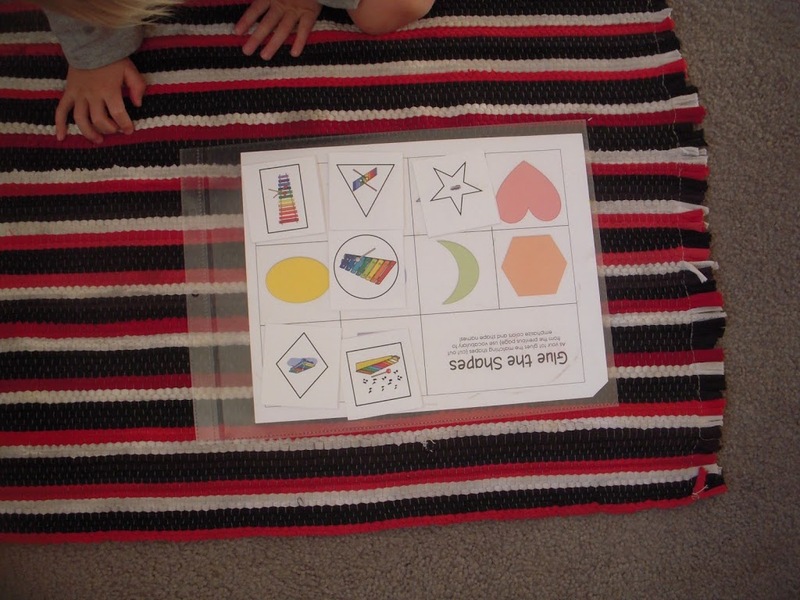 I have always set up our home to be Montessori friendly and was trying to recreate some of the activities I used as a teacher and I’m so grateful to now be able to print it off on a Sunday night, prep it and start the new lesson Monday morning! All of these are different themes. I usually pick a theme based on what he’s interested in. I then organize ones we are finished with in manilla envelopes which I just keep in a big box under the guest bed. I figure we can reuse a bunch of these next year!! Currently we are doing the letter “X” theme which I chose because it’s all about xylophones and instruments and he is SUPER in to music right now! * I do it, we do it, you do it. After breakfast and our calendar time at the table we move into the learning room for some Tot Time! I wanted to show you some of the work in action with my son. He is currently 26 months old and very curious about the world around him. Usually we work pretty focused on learning activities for an hour to two hours at a time- I follow his lead. Pocket chart (I scored this on super clearance at IKEA!) 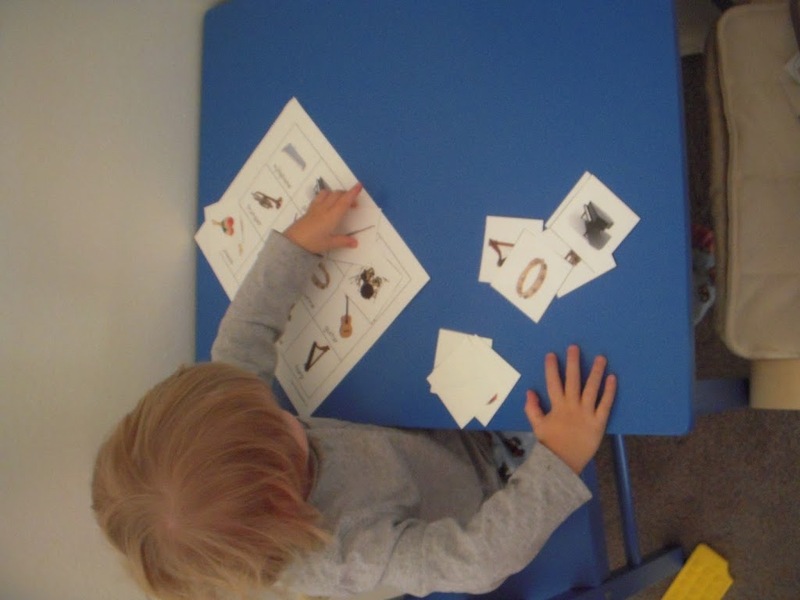 with his tactile number book, Brain Quest cards, tactile letter book, number cards, animal cards, and vocabulary cards. I was so excited to get this great little table and chair from my in-laws for Christmas. It is where we do our Tot School drawing, writing and eat pretend food 🙂 In the owl box are our dry erase markers, child safe scissors, and small pieces for the theme we are working on for the week. I would like to eventually get another pocket chart to organize these so we can do them at a more self-directed pace but this works well for now! Those of you who are friends with me on Facebook will recognize this shelf from the space under the stairs project I did. (sorry about the weird blurr…). 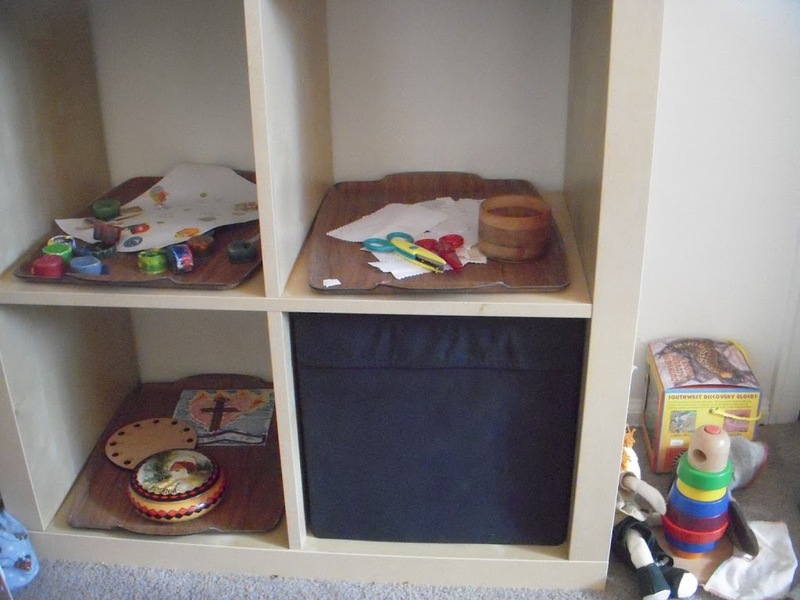 I ended up taking everything out of that room because it was WAY too cold and moved it into his learning area. I love the locks up in the top right corner of the picture! 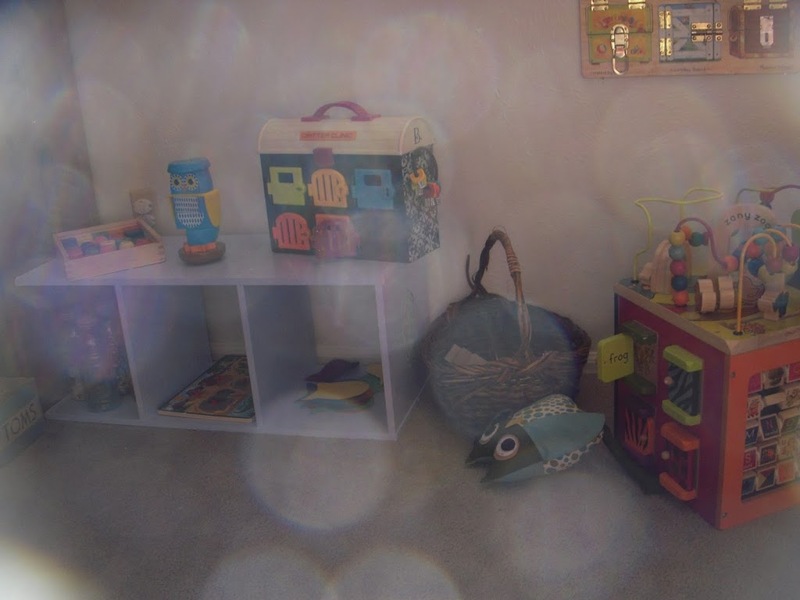 These are all educational and sensory activities. Coloring tray, cutting tray, lacing and small puzzle tray, the black bin is full of balls 🙂 On the floor to the right is our stacking tower and stacking blocks. Instrument matching. 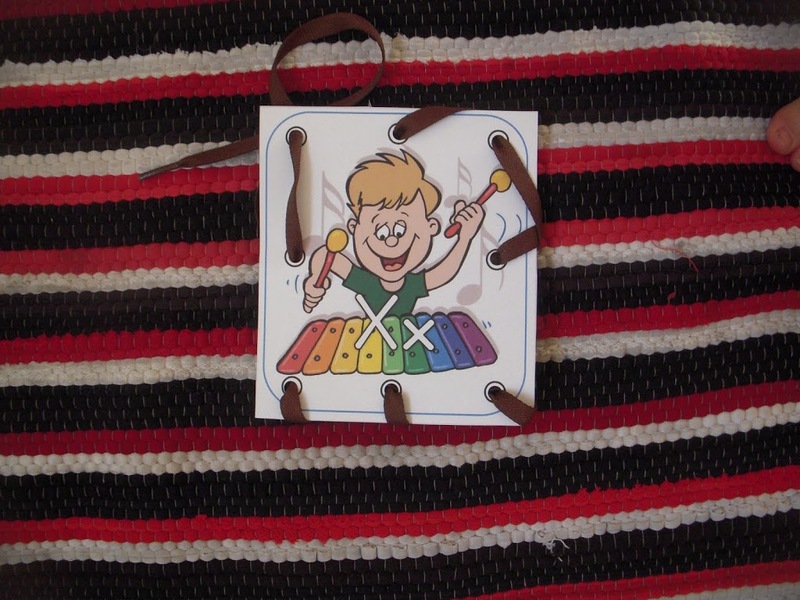 The paper has instruments with names, he is given a blank card without words and matches it to the one with the name. 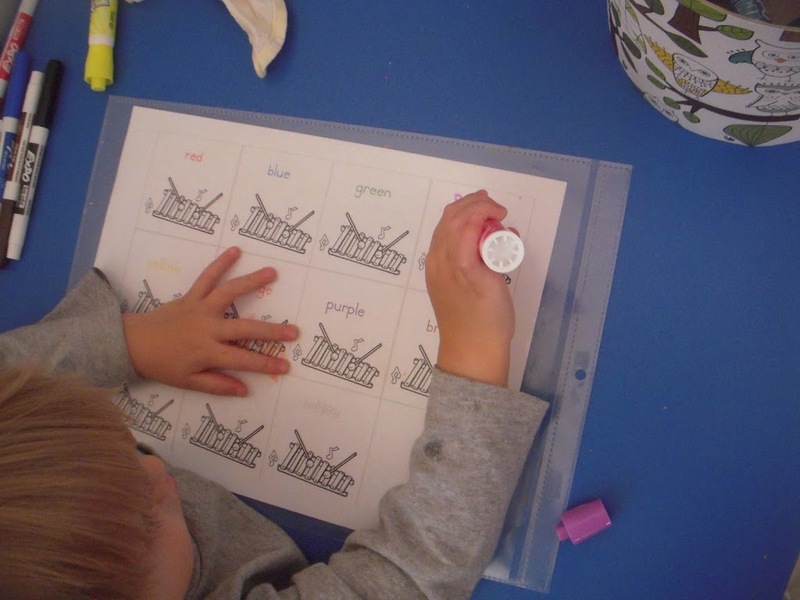 This is great for vocabulary, visual discrimination, spacing and fine motor. “Clean up, clean up” He loves to sing while he pulls the pieces off. Sometimes we make it through all of them, sometimes we don’t When we are done he piles them all up and we clip them to the sheet with a binder clip. Tracing the letter. I have been trained with Handwriting Without Tears so I always add the starting spot and use the terms “Big line, little line, big curve, little curve”. Everytime we do letters we follow the I do it, we do it, you do it. Lacing card- he still needs a bit of help with this one but he can do it with me holding card for him and helping him get the next hole. 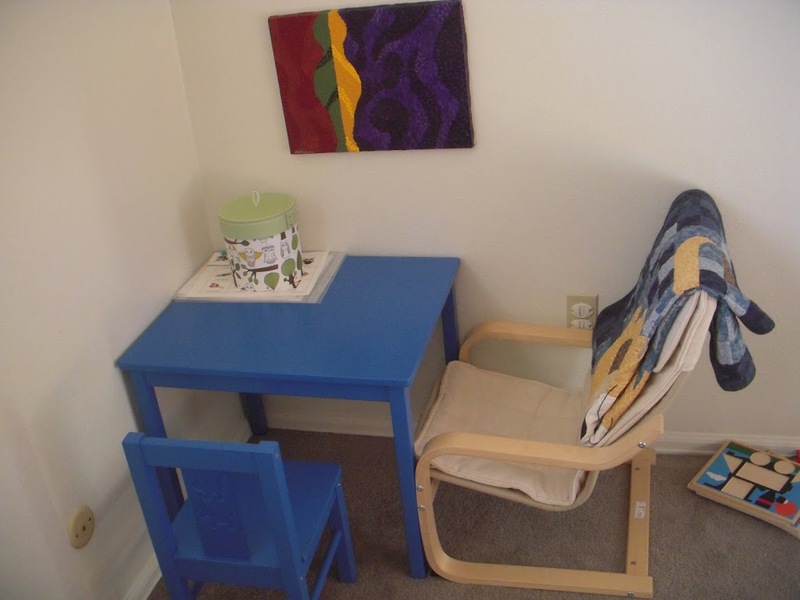 This is great for his fine motor skills, problem solving and visual-spatal skills. Matching shapes. 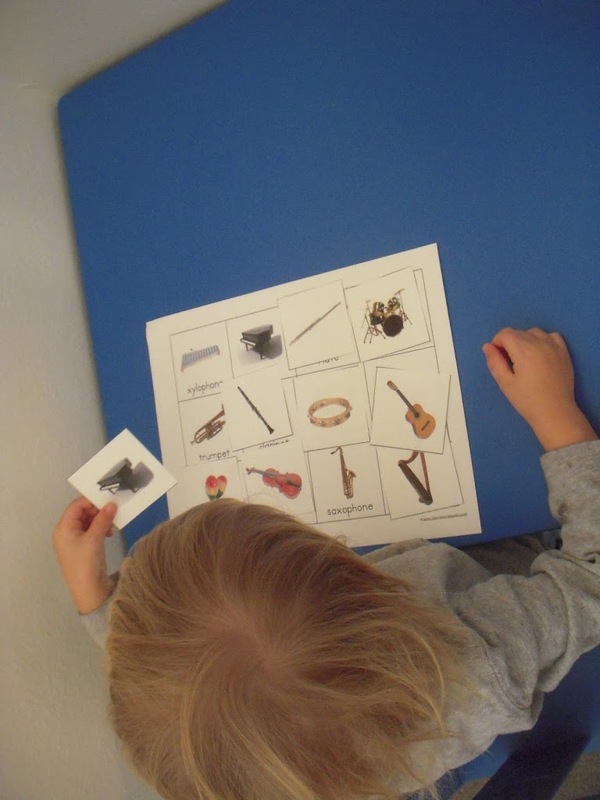 We have a sheet with all the shapes and then he matches shape cards w/ pictures in each shape from the current theme. He can do this independently but prefers to have me do it with him. Color matching! This is his FAVORITE on every lesson we do. I can sit him down with this one while I get other work done and he can do it independently. Carisa puts each theme with a picture and then puts a color above it. Since we keep each theme for about 2 weeks and do the same activities each day we keep anything that he will be writing on in a heavy duty job ticket holder (which you can get at any office supply store- they hold us MUCH better than sheet protectors but are greener than laminating every sheet because you can just switch them out when you change your lesson) and use dry erase markers on them. 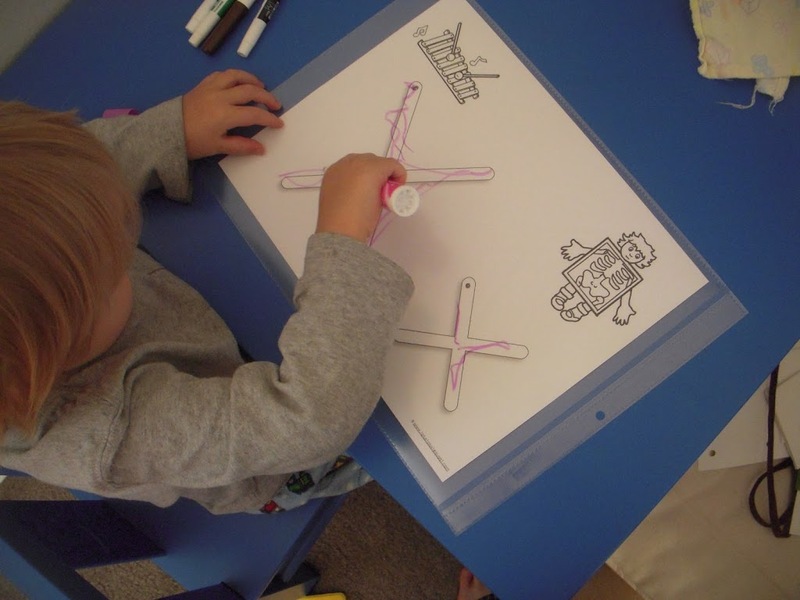 He uses the marker to color the square the appropriate color. On the back of this sheet I put the freestyle coloring sheet that he can scribble on to his hearts content. 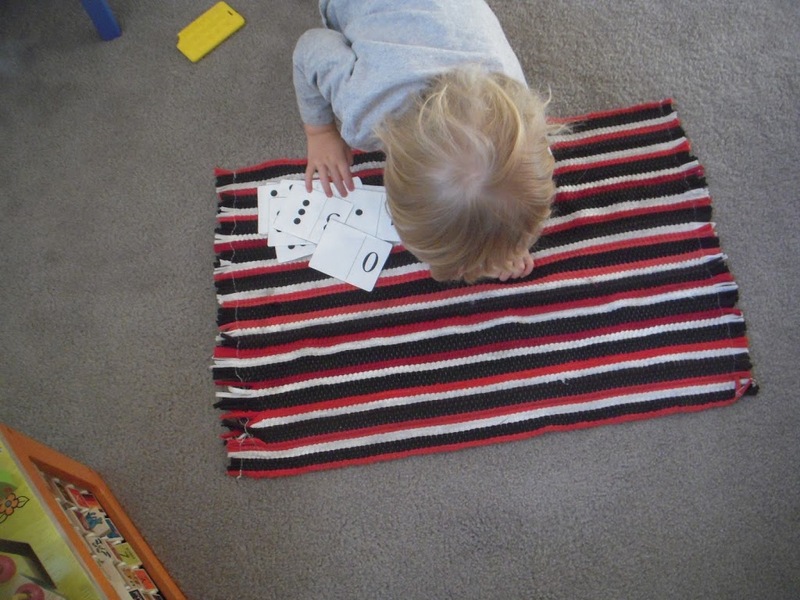 There you have it- a glimpse into how I’m homeschooling my sweet boy. Like I said above- all of his work is self-directed… meaning he chooses what he wants to work on and how long he wants to work on it. When he starts getting brain fatigue we just stop and play for a bit. So far I’m really enjoying our time together and looking forward to seeing how this progresses! Previous postMontessori Mondays: Potty Time! Next postIntroducing Savvy Saturdays/ Sundays!!! !